This plated chrome brush is an opulent piece indeed. It’s heavy 120g, but that feels like you are holding a piece of quality traditional shaving equipment. Lined with brass, the exceptional chrome work Is rolled. Giving It It’s lattice effect, the base Is inscribed with the Muhle logo and the neck Is a perfectly designed. 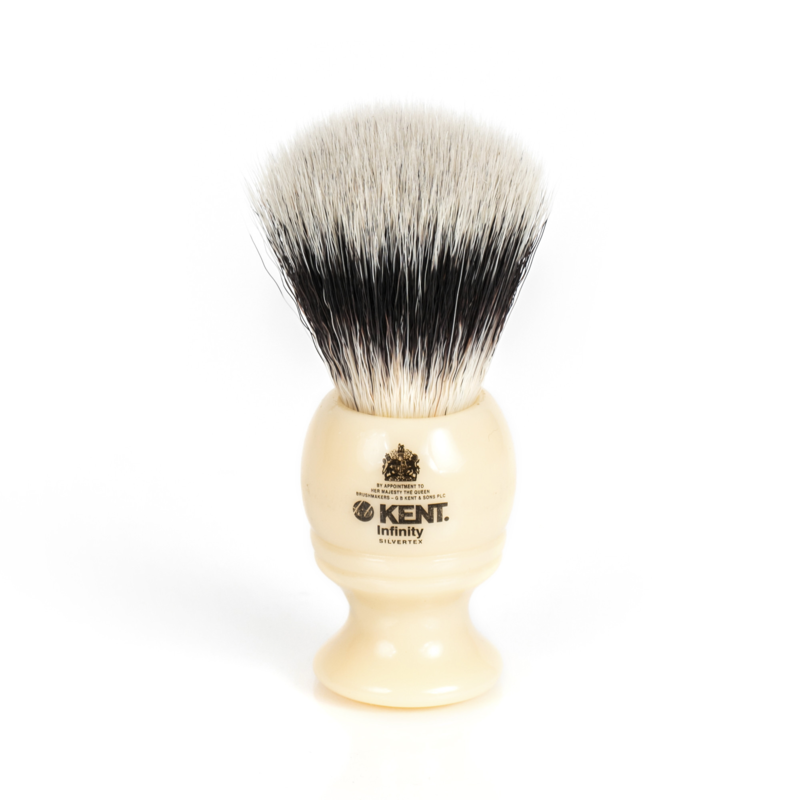 This elegant shaving brush, Is the counterpart to the Muhle R89. Which Is one of the most desirable safety razors on the market. If you already have one, why not complete the set and have one of the best shaving kits going? Muhle are a seventy year old German company, who Edward’s are luckily enough to be an official retailer of. The hair Is silver tip badger the highest grade, to the touch it is so very soft. 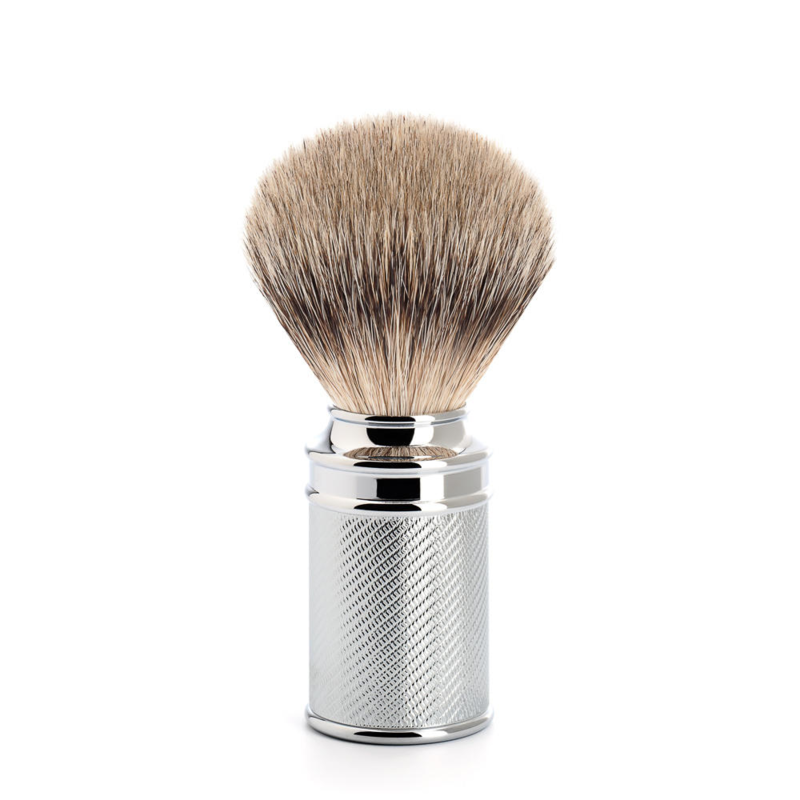 Badger Is the traditional shaving brushes first choice, as It absorbs warm water well, thus whipping up a great lather. It also gives a degree of exfoliation which Is great for the shave and the skin. The brush stands at 110 mm, and has a robust plume. 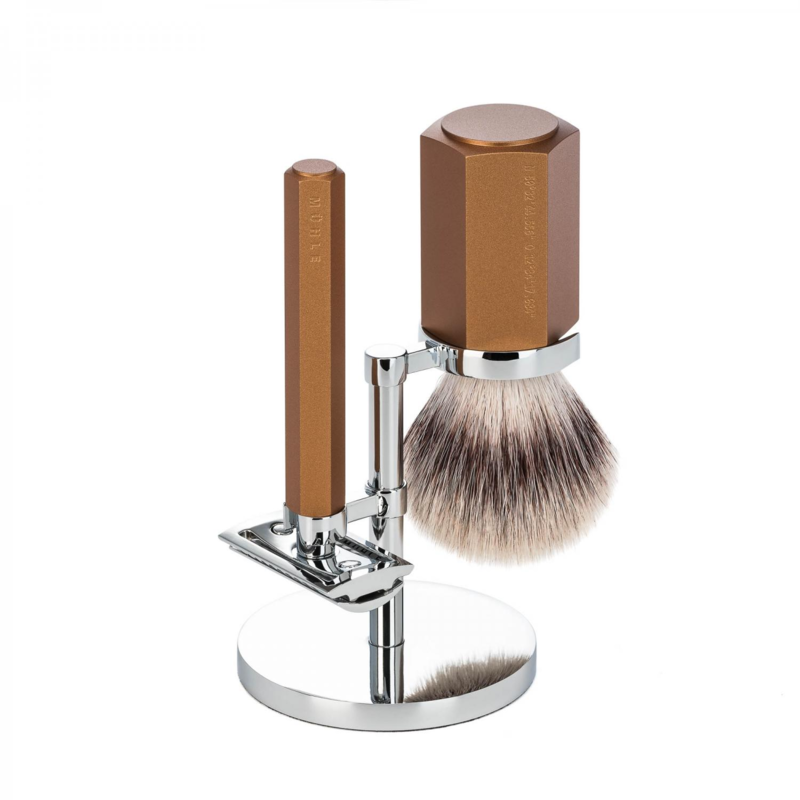 Muhle packaging Is also excellent making MÜHLE TRADITIONAL, Chrome Silvertip Badger 091M89 a great gift. 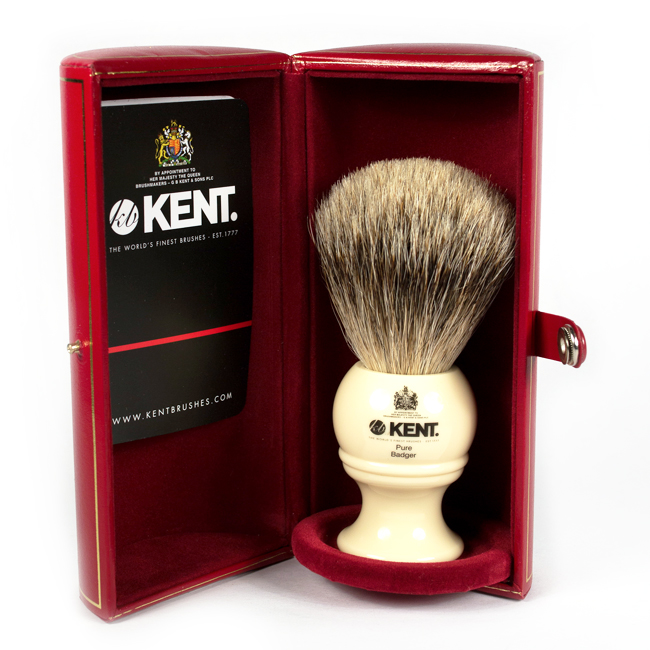 A good shaving brush should last a decade, It takes minimal maintenance, just a good rinse In cold water, shake and leave to air. 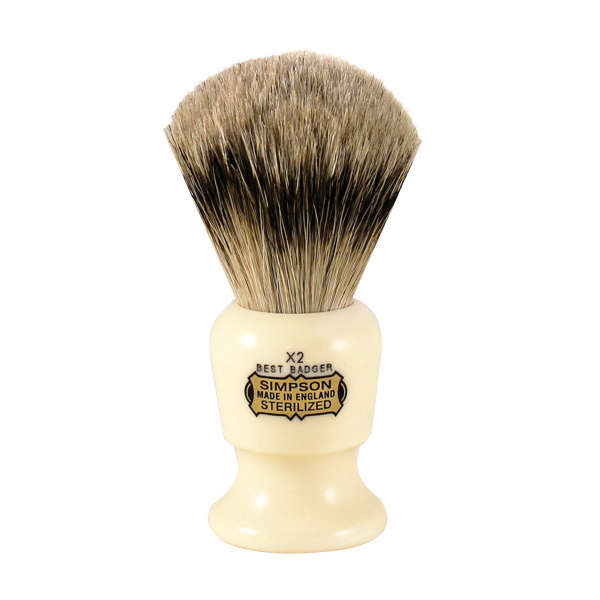 Why not look at our range of soaps and creams to create a magnificent shaving ritual. For reviews of which you will find on our blog. If you would like to further discuss traditional shaving please contact us and we will do our best to answer any questions with our vast knowledge and gentile manner.